And who said learning statistics can’t be fun? For my own critical view on the value of p values — see e. g. here. But if people — not the representative agent — at least sometimes can’t help being off their labour supply curve — as in the real world — then what are these hordes of Euler equations that you find ad nauseam in these ‘New Keynesian’ macro models going to help us? Yours truly’s doubts regarding the ‘New Keynesian’ modelers’ obsession with Euler equations is basically that, as with so many other assumptions in ‘modern’ macroeconomics, the Euler equations don’t fit reality. In the standard neoclassical consumption model — underpinning ‘New Keynesian’ microfounded macroeconomic modeling — people are basically portrayed as treating time as a dichotomous phenomenon – today and the future — when contemplating making decisions and acting. How much should one consume today and how much in the future? The Euler equation implies that the representative agent (consumer) is indifferent between consuming one more unit today or instead consuming it tomorrow. This importantly implies that according to the neoclassical consumption model that changes in the (real) interest rate and the ratio between future and present consumption move in the same direction. So good, so far. But how about the real world? Is the neoclassical consumption as described in this kind of models in tune with the empirical facts? Not at all — the data and models are as a rule insconsistent! In the Euler equation we only have one interest rate, equated to the money market rate as set by the central bank. The crux is that — given almost any specification of the utility function – the two rates are actually often found to be strongly negatively correlated in the empirical literature. But being able to model a ‘credible world,’ a world that somehow could be considered real or similar to the real world, is not the same as investigating the real world. Even though all theories are false, since they simplify, they may still possibly serve our pursuit of truth. But then they cannot be unrealistic or false in any way. The falsehood or unrealisticness has to be qualified. (1) Treat the model as an axiomatic system, making all its claims into tautologies — ‘true’ by the meaning of propositional connectives. (3) Limit the application of the model to restricted areas where the assumptions/hypotheses/axioms are met. (4) Leave the application of the model open, making it impossible to falsify/refute the model by facts. Well, the problem is, of course, that ‘saving’ theories and models by these kind of immunizing strategies are totally unacceptable from a scientific point of view. If macroeconomics has nothing to say about the real world and the economic problems out there, why should we care about it? As long as no convincing justification is put forward for how the inferential bridging between model and reality de facto is made, macroeconomic modelbuilding is little more than hand waving. 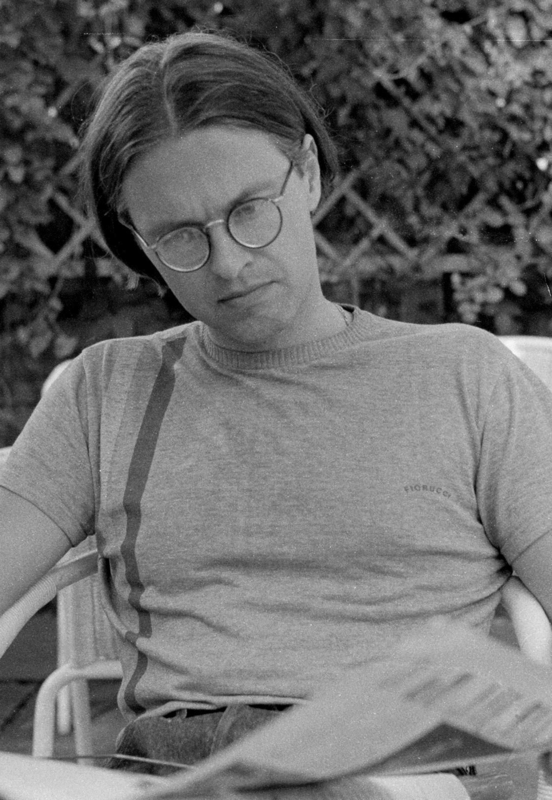 The real macroeconomic challenge is to face reality and still try to explain why economic transactions take place – instead of simply conjuring the problem away by assuming rational expectations, or treating uncertainty as if it was possible to reduce it to stochastic risk, or by immunizing models by treating them as purely deductive-axiomic systems. That is scientific cheating. And it has been going on for too long now. Well, that is in fact nothing but a (slight) variation of the usual fairy-tale told by mainstream economists in defense of their model Platonistic immunizing strategies. Dillow’s reasoning smacks a lot of Friedman’s instrumentalist immunizing strategy in which the value of model is said to have nothing to do with the ‘truth’ of the hypotheses (assumptions), but (only) with how good the model is in predicting things (which, if really believed in, would have put mainstream economics at rest for good more than a century ago …) In a typical Chicago economics fashion, theories and models are to be treated as something that has very little to do with any substantive content. Unfortunately, this only shows the prevalent deep ignorance of epistemological and methodological thought among mainstream economists nowadays. Mainstream economics is usually considered to be very ‘rigorous’ and ‘precise.’ And yes, indeed, it’s certainly full of ‘rigorous’ and ‘precise’ statements like ”the state of the economy will remain the same as long as it doesn’t change.” Although ‘true,’ this is however — as most other analytical statements — neither particularly interesting nor informative. If the factors that are to be left constant remain undetermined, as not so rarely happens, then the law of demand under question is fully immunized to facts, because every case which initially appears contrary must, in the final analysis, be shown to be compatible with this law. The clause here produces something of an absolute alibi, since, for every apparently deviating behavior, some altered factors can be made responsible. This makes the statement untestable, and its informational content decreases to zero. One might think that it is in any case possible to avert this situation by specifying the factors that are relevant for the clause. However, this is not the case. In an appropriate interpretation of the clause, the law of demand that comes about will become, for example, an analytic proposition, which is in fact true for logical reasons, but which is thus precisely for this reason not informative. This of course applies to any interpretation that makes the then-clause of the law of demand under question a logical consequence of its if-clause so that, in this case, an actual logical implication results … Through an explicit interpretation of the ceteris paribus clause, the law of demand is made into a tautology. Various widespread formulations of the law of demand contain an interpretation of the clause that does not result in a tautology, but that has another weakness. The list of the factors to be held constant includes, among other things, the structure of the needs of the purchasing group in question. This leads to a difficulty connected with the identification of needs. As long as there is no independent test for the constancy of the structures of needs, any law that is formulated in this way has an absolute ‘alibi’. Any apparent counter case can be traced back to a change in the needs, and thus be discounted. Thus, in this form, the law is also immunized against empirical facts. To counter this situation, it is in fact necessary to dig deeper into the problem of needs and preferences; in many cases, however, this is held to be unacceptable, because it would entail crossing the boundaries into social psychology. Many thanks for sending me your article. I enjoyed it very much. I am sure these matters need discussing in that sort of way. There is one point, to which in practice I attach a great importance, you do not allude to. In many of these statistical researches, in order to get enough observations they have to be scattered over a lengthy period of time; and for a lengthy period of time it very seldom remains true that the environment is sufficiently stable. That is the dilemma of many of these enquiries, which they do not seem to me to face. Either they are dependent on too few observations, or they cannot rely on the stability of the environment. It is only rarely that this dilemma can be avoided. Economics is perhaps more than any other social science model-oriented. There are many reasons for this — the history of the discipline, having ideals coming from the natural sciences (especially physics), the search for universality (explaining as much as possible with as little as possible), rigour, precision, etc. Mainstream economists want to explain social phenomena, structures and patterns, based on the assumption that the agents are acting in an optimizing (rational) way to satisfy given, stable and well-defined goals. The procedure is analytical. The whole is broken down into its constituent parts so as to be able to explain (reduce) the aggregate (macro) as the result of interaction of its parts (micro). Building their economic models, modern mainstream (neoclassical) economists ground their models on a set of core assumptions (CA) — describing the agents as ‘rational’ actors — and a set of auxiliary assumptions (AA). Together CA and AA make up what I will call the ur-model (M) of all mainstream neoclassical economic models. Based on these two sets of assumptions, they try to explain and predict both individual (micro) and — most importantly — social phenomena (macro). When describing the actors as rational in these models, the concept of rationality used is instrumental rationality – choosing consistently the preferred alternative, which is judged to have the best consequences for the actor given his in the model exogenously given wishes/interests/ goals. How these preferences/wishes/interests/goals are formed is not considered to be within the realm of rationality, and a fortiori not constituting part of economics proper. These economic models are not primarily constructed for being able to analyze individuals and their aspirations, motivations, interests, etc., but typically for analyzing social phenomena as a kind of equilibrium that emerges through the interaction between individuals. Employing a reductionist-individualist methodological approach, macroeconomic phenomena are, analytically, given microfoundations. Now, of course, no one takes the ur-model (and those models that build on it) as a good (or, even less, true) representation of economic reality (which would demand a high degree of appropriate conformity with the essential characteristics of the real phenomena, that, even when weighing inn pragmatic aspects such as ‘purpose’ and ‘adequacy’, it is hard to see that this ‘thin’ model could deliver). 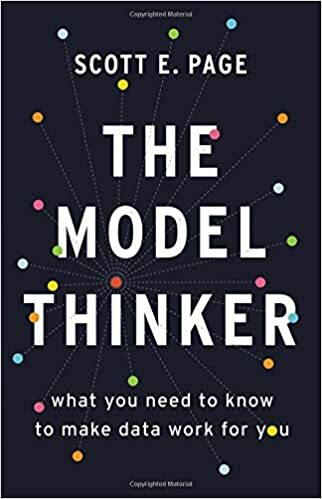 The model is typically seen as a kind of ‘thought-experimental’ bench-mark device for enabling a rigorous mathematically tractable illustration of how an ideal market economy functions, and to be able to compare that ‘ideal’ with reality. 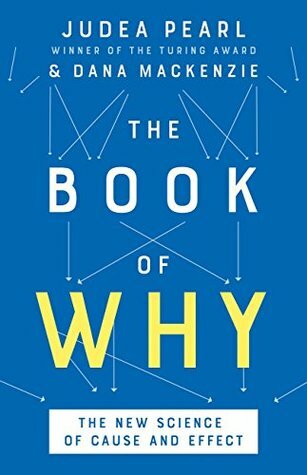 The model is supposed to supply us with analytical and explanatory power, enabling us to detect, describe and understand mechanisms and tendencies in what happens around us in real economies. Based on the model — and on interpreting it as something more than a deductive-axiomatic system — predictions and explanations can be made and confronted with empirical data and what we think we know. If the discrepancy between model and reality is too large — ‘falsifying’ the hypotheses generated by the model — the thought is that the modeler through ‘successive approximations’ improves on the explanatory and predictive capacity of the model. When applying their preferred deductivist thinking in economics, mainstream neoclassical economists usually use this ur-model and its more or less tightly knit axiomatic core assumptions to set up further “as if” models from which consistent and precise inferences are made. The beauty of this procedure is of course that if the axiomatic premises are true, the conclusions necessarily follow. The snag is that if the models are to be relevant, we also have to argue that their precision and rigour still holds when they are applied to real-world situations. They often don’t. When addressing real economies, the idealizations and abstractions necessary for the deductivist machinery to work simply don’t hold. If the real world is fuzzy, vague and indeterminate, then why should our models build upon a desire to describe it as precise and predictable? The logic of idealization, that permeats the ur-model, is a marvellous tool in mathematics and axiomatic-deductivist systems, but, a poor guide for action in real-world systems, in which concepts and entities are without clear boundaries and continually interact and overlap. Being told that the model is rigorus and amenable to ‘successive approximations’ to reality is of little avail, especially when the law-like (nomological) core assumptions are highly questionable and extremely difficult to test. Being able to construct “thought-experiments,“ depicting logical possibilities, doesn’t — really — take us very far. An obvious problem with the mainstream neoclassical ur-model — formulated in such a way that it realiter is extremely difficult to empirically test and decisively evaluate if it’s ‘corrobated’ or ‘falsified.’ Such models are from an scientific-explanatory point of view unsatisfying. The ‘thinness’ is bought at to high a price, unless you decide to leave the intended area of application unspecified or immunize your model by interpreting it as nothing more than two sets of core and auxiliary assumptions making up a content-less theoretical system with no connection whatsoever to reality. Seen from a deductive-nomological perspective, the ur-model (M) consist of, as we have seen, a set of more or less general (typically universal) law-like hypotheses (CA) and a set of (typically spatio-temporal) auxiliary conditions (AA). The auxiliary assumptions give “boundary” descriptions such that it is possible to deduce logically (meeting the standard of validity) a conclusion (explanandum) from the premises CA and AA. Using this kind of model economists can be portrayed as trying to explain/predict facts by subsuming them under CA given AA. This account of theories, models, explanations and predictions does not — of course — give a realistic account of actual scientific practices, but rather aspires to give an idealized account of them. Most mainstream economic models — elaborations on the ur-model — are abstract, unrealistic and presenting mostly non-testable hypotheses. How then are they supposed to tell us anything about the world we live in? And where does the drive to build those kinds of models come from? I think one important rational behind this kind of model building is the quest for rigour, and more precisely, logical rigour. 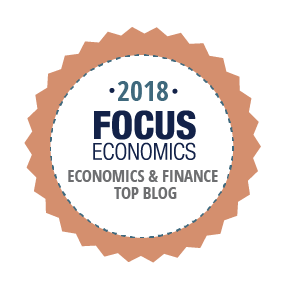 Formalization of economics has been going on for more than a century and with time the it has become obvious that the preferred kind of formalization is the one that rigorously follows the rules of formal logic. As in mathematics, this has gone hand in hand with a growing emphasis on axiomatics. Instead of basically trying to establish a connection between empirical data and assumptions, ‘truth’ has come to be reduced to, a question of fulfilling internal consistency demands between conclusion and premises, instead of showing a ‘congruence’ between model assumptions and reality. This has, of course, severely restricted the applicability of economic theory and models. Not all mainstream economists subscribe to this rather outré deductive-axiomatic view of modeling, and so when confronted with the massive empirical refutations of almost every theory and model they have set up, many mainstream economists react by saying that these refutations only hit AA (the Lakatosian ‘protective belt’), and that by ‘successive approximations’ it is possible to make the theories and models less abstract and more realistic, and — eventually — more readily testable and predictably accurate. Even if CA & AA1 doesn’t have much of empirical content, if by successive approximation we reach, say, CA & AA25, we are to believe that we can finally reach robust and true predictions and explanations. But there are grave problems with this modeling view, too. The tendency for modelers to use the method of successive approximations as a kind of ‘immunization,’ implies that it is taken for granted that there can never be any faults with CA. Explanatory and predictive failures hinge solely on AA. That the CA used by mainstream economics should all be held non-defeasibly corrobated, seems, however — to say the least — rather unwarranted. Confronted with the empirical failures of their models and theories, even these mainstream economists often retreat into looking upon their models and theories as some kind of ‘conceptual exploration,’ and give up any hopes/pretenses whatsoever of relating their theories and models to the real world. Instead of trying to bridge the gap between models and the world, one decides to look the other way. 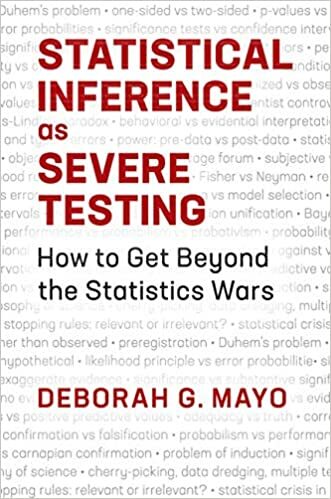 But restricting the analytical activity to examining and making inferences in the models is tantamount to treating the models as a self-contained substitute systems, rather than as surrogate systems that the modeler uses to indirectly being able to understand or explain the real target system. Trying to develop a science where we want to be better equipped to explain and understand real societies and economies, it sure can’t be enough to prove or deduce things in model worlds. If theories and models do not — directly or indirectly — tell us anything of the world we live in, then why should we waste time on them? How strange that economists and other social scientists as a rule do not even touch upon these aspects of scientific methodology that seems to be so fundamental and important for anyone trying to understand how we learn and orient ourselves in an uncertain world. An educated guess on why this is so would be that Keynes’s concepts are not possible to squeeze into a single calculable numerical “probability.” In the quest for quantities one puts a blind eye to qualities and looks the other way – but Keynes’s ideas keep creeping out from under the statistics carpet. Thus we have ”econometric modelling”, that activity of matching an incorrect version of [the parameter matrix] to an inadequate representation of [the data generating process], using insufficient and inaccurate data. The resulting compromise can be awkward, or it can be a useful approximation which encompasses previous results, throws’ light on economic theory and is sufficiently constant for prediction, forecasting and perhaps even policy. Simply writing down an ”economic theory”, manipulating it to a ”condensed form” and ”calibrating” the resulting parameters using a pseudo-sophisticated estimator based on poor data which the model does not adequately describe constitutes a recipe for disaster, not for simulating gold! 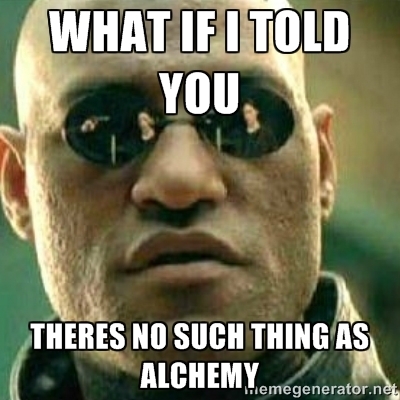 Its only link with alchemy is self-deception.